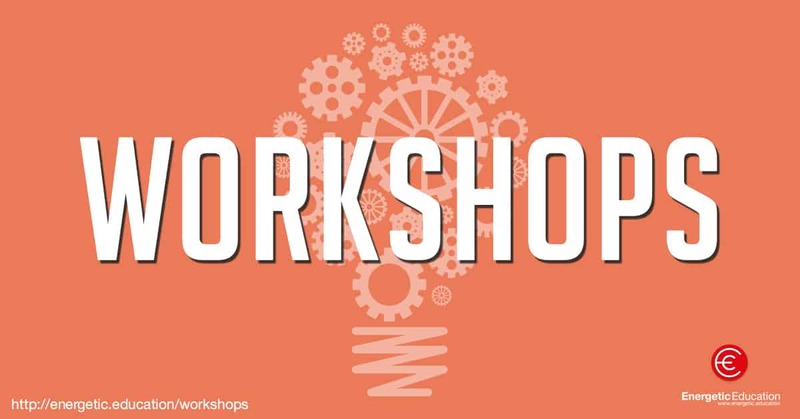 Click HERE to view all upcoming workshops. Click HERE to arrange a specialised workshop for you and your staff. Over the past four years we have slowly been building and creating resources, courses, apps, eBooks, videos and much more. This has all been in preparation for the launch of our full day workshops and professional development courses, through Energetic Education. The workshops and professional development courses bring together all of the amazing resources we have created. Combining years of hard work into one succinct product, the full day sessions will highlight how you can use our resources, to engage your students in a fun and exciting way. With so many stimulating games and lessons to show you, the workshops will be fun, informative and above all else, they will provide ideas that can easily be used in your own classroom. We are super excited to announce that the first set of workshops will be held in Victoria, Australia. We cannot wait to hit the road and meet you all, at our four exciting venues. Each session will be hosted by myself and a special guest. On top of this each attendee will receive over $300 worth of resources and lesson ideas, to help motivate students in the classroom. If you live in one of the following places or know someone who does, please feel free to forward on the event details. We will be visiting Melbourne, Caroline Springs, Shepparton and Bendigo. As mentioned if you would like to discuss the possibility of Energetic Education coming and running a workshop for your staff, be it a full day or a session at your staff meeting, hit reply and we can get this organised. Our workshops are full of amazing content, are high energy and are generally a really good time – who knew learning could be so fun (we did). Cheers Dale and the Energetic Education team.